Japan's only remaining Tatara Iron-making facility . Tatara refers to the traditional iron-making method that uses iron sand and charcoal. Sannai means the village where the craftmen's workplace and residence located. Inasa no hama beach is located 15 minutes walk away from Izumo Taisha Grand Shrine. 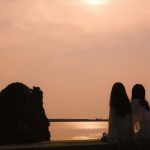 It is selected as one of the 100 best beaches in Japan. The short beach stretches out and a huge rock with torii(Shinto shrine gate) is in the water . 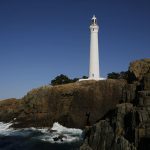 Hinomisaki Lighthouse is bulit in 1903 and the tallest lighthouse in Japan . It stands at 43.6 meters and is also listed as one of the 100 most beautiful lighthouse of the world. Iwami Ginzan Silver Mine is located in Oda city, Shimane Prefecture. 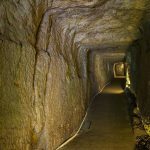 It was discovered in the early 15c and had been the most prominent silver mine in the world for 400 years. Its production during its peak was as much as one third of the entire world silver production . 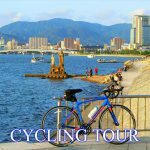 The cycle tour goes from the top of Mount Daisen to the bottom, through the rice fields to Kaike and then along the coast to Sakaiminato using bike paths for most of the way. We then head through Sakaiminato to Eshima Bridge. At the bridge we load the bikes up and go for lunch. 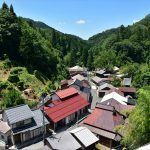 Cycling ends at Sakaiminato station and stroll around Mizuki Shigeru road at own leisure that is famous for Gegege no Kitaro. 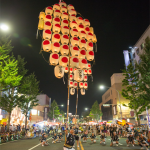 One of the biggest summer festivals in Tottori! Mantou(Banboo pole with paper lanterns) parade is the highlight as well as firework display. Frolic Sea Adventure Park is one of the largest water amusement park in Japan. 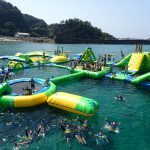 This is your must-do during summer season and a family fun attraction in Tottori Prefecture. If you hire a tour guide, your trip will be more enjoyable and valuable. This option maximize the enjoyment of your trip. 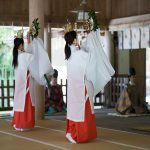 San'in region is one of the regions in Japan that is hard to explore without tour guide. Miho Shrine is located in the small fishing village of Mihonoseki. The main deity enshrined here is Kotoshiro-nushi(known as Ebisu), the son of Okuninushi who is the main deity of Izumo Taisha Grand Shrine. Miho Shrine is the head shrine of the thousands of dedicated to Ebisu in Japan. Explorer San'in region and enjoy hands-on experiences. 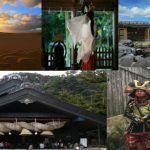 This tour covers the best highlights of Tottori and Shimane Prefectures. Hands-on experiences make your trip more enjoyable and unforgettable. Copyright© Bluepoint Travel , 2019 All Rights Reserved.